Number of imprisoned juveniles falls 78% in Russia | Russian Legal Information Agency (RAPSI). AKSAKOVO (Moscow Region), June 18 (RAPSI) - The number of underage convicts serving prison sentences in Russia has declined by 78% over the past five years, a Federal Penitentiary Service official announced to an international research conference. 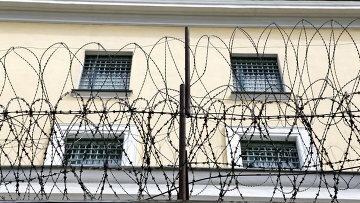 Valery Trofimov, who heads the service's department for social, psychological and educational work with prison inmates, said there are 46 juvenile correctional facilities in Russia, with approximately 2,200 inmates. The reduced numbers of young prison inmates came as a result of a more humane government policy with regard to juvenile delinquents and more effective proactive work with children and teenagers, Trofimov said. The demographic situation that developed in Russia at the end of the 20th century has also influenced the number of juvenile delinquents, according to the service. That period was characterized by a simultaneous drop in the birth rate and increase in mortality. 15:05 18/06/2013 The number of underage convicts serving prison sentences in Russia has declined by 78% over the past five years, a Federal Penitentiary Service official announced to an international research conference.